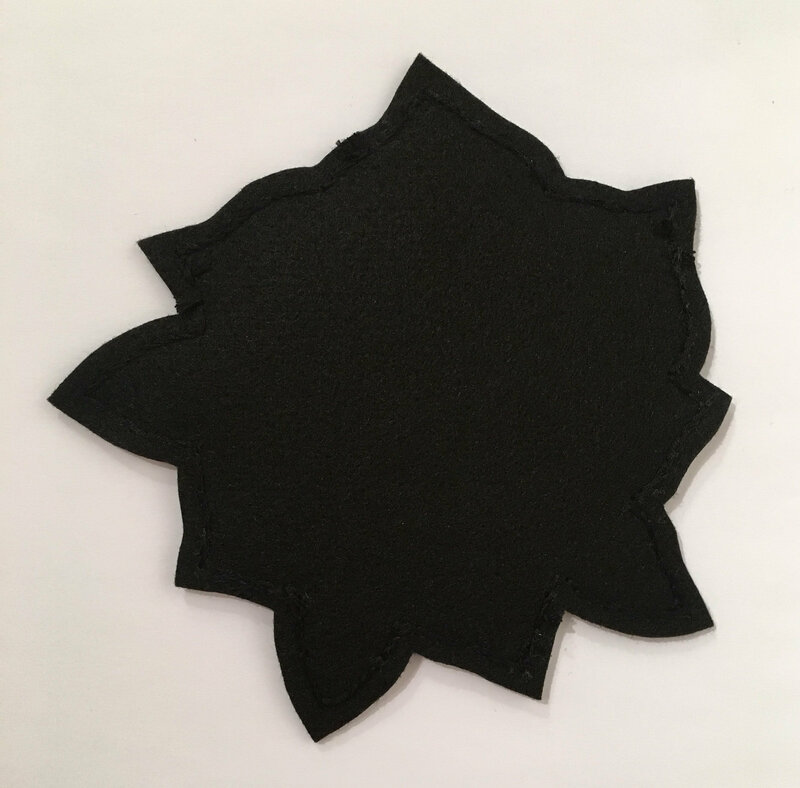 Hand-embroidered, hand-sewn and hand-cut black and off-white felt patch. 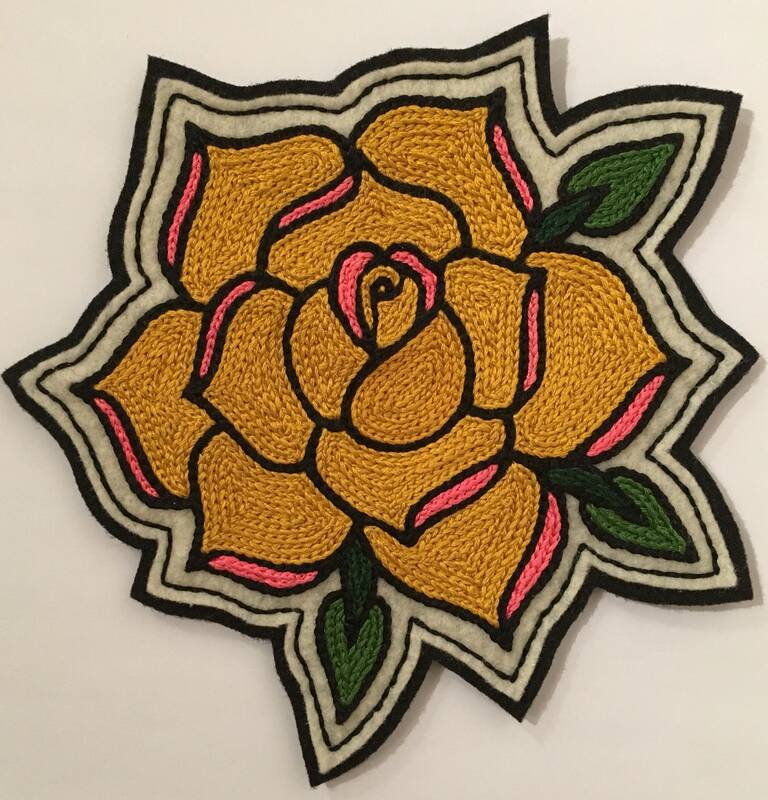 Large patch features a traditional-tattoo-style yellow rose with pink detail & three small green leaves and stems. 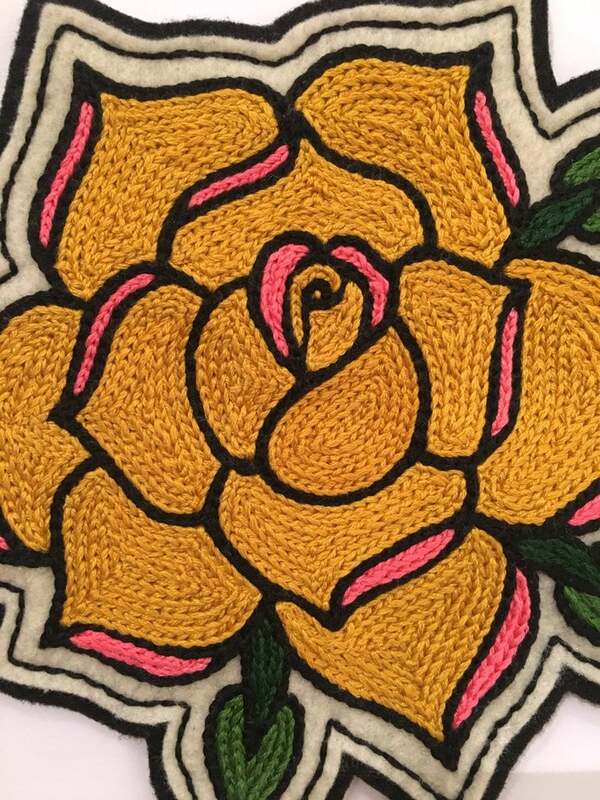 Great as a back patch for a jacket or vest. 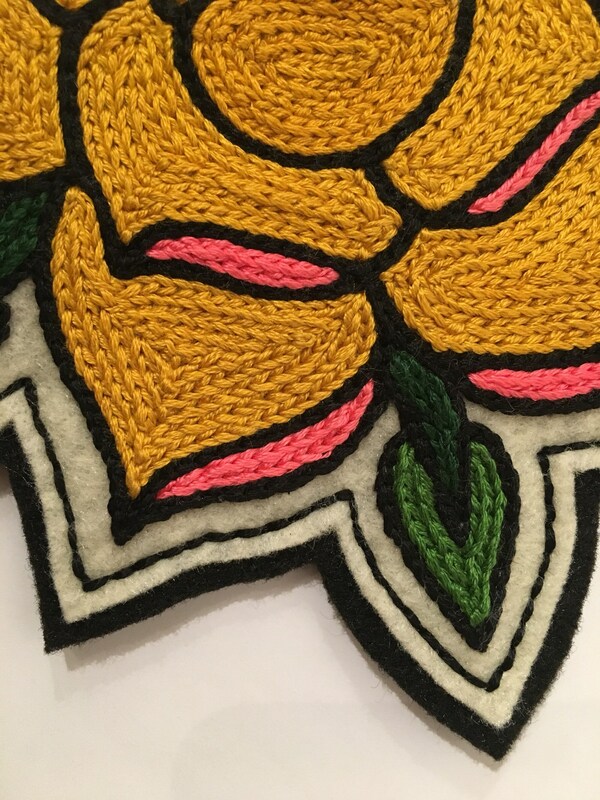 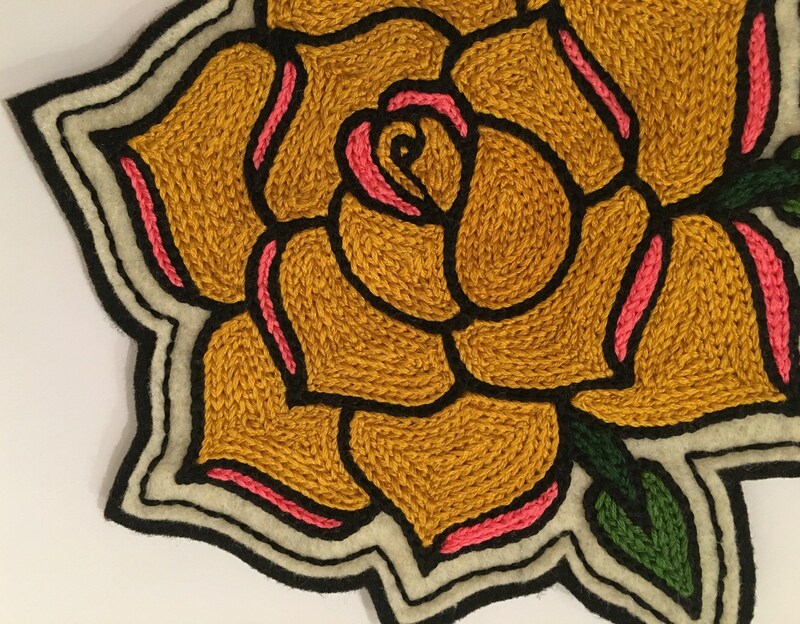 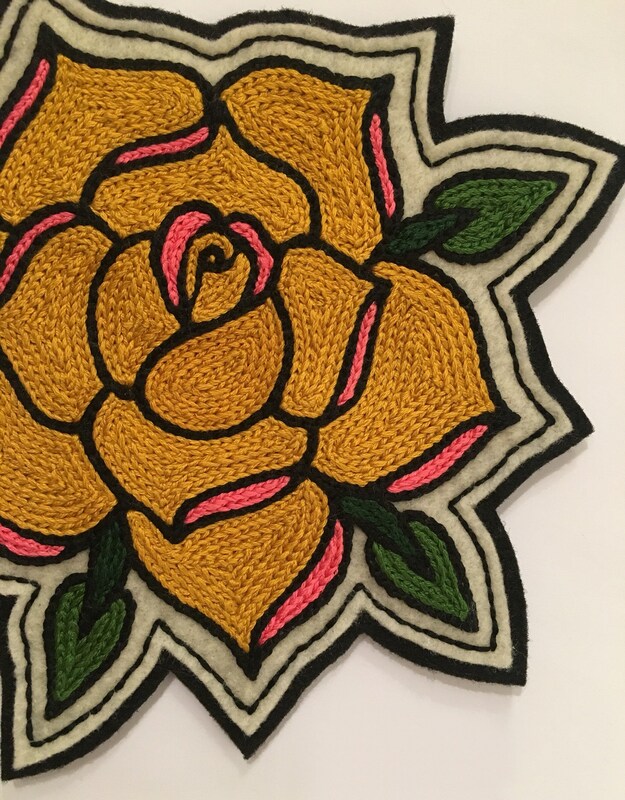 The rose is stitched in a golden yellow with pink accents; the stems are a darker green and the leaves are a lighter green. 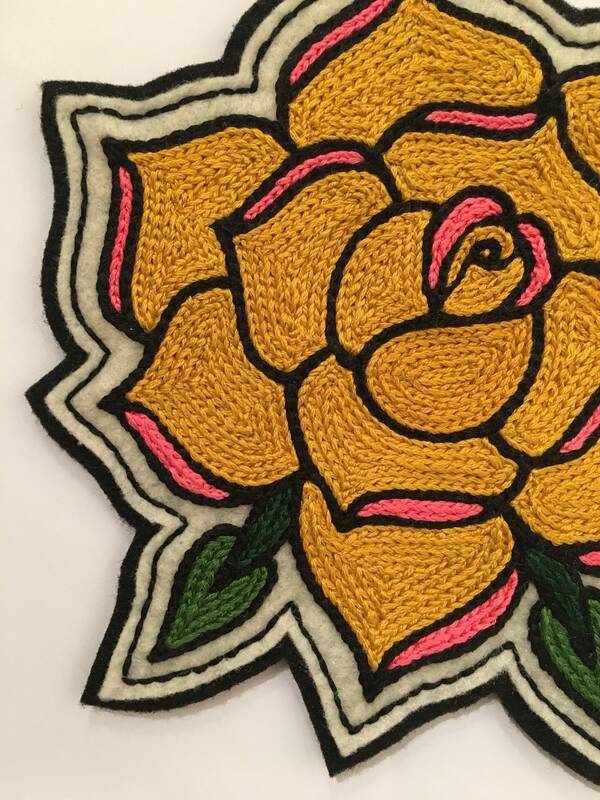 Sewn entirely by hand with embroidery floss in a chain-stitch style. 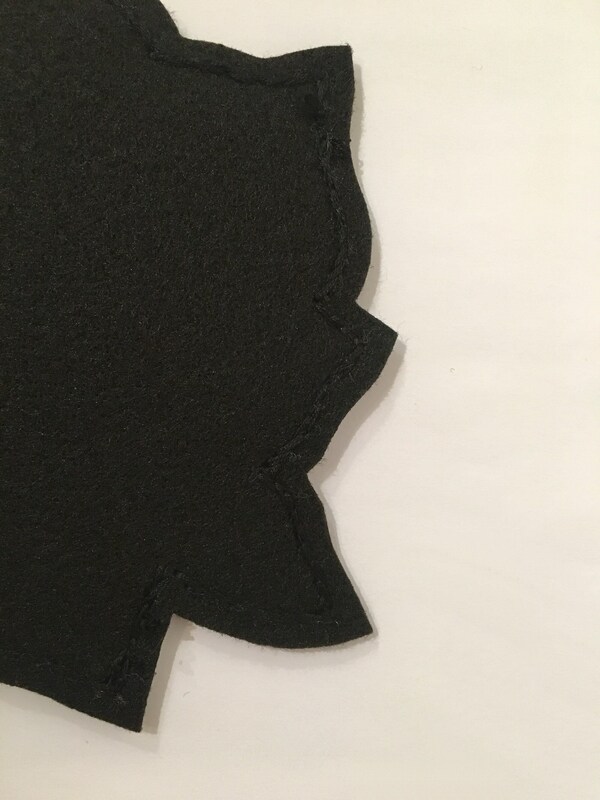 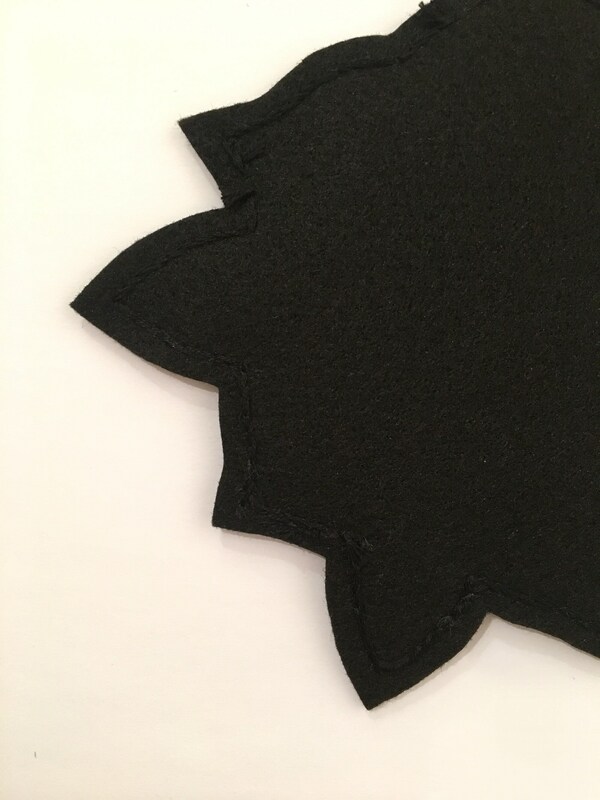 Image was sewn to an off-white piece of sturdy felt and then sewn on top of a black piece of felt with black embroidery floss (creating a border) and trimmed to fit.